Looking to buy a used car? 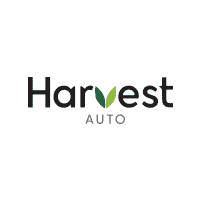 Come to Harvest Auto for the most complete selection of used cars for sale in Washington’s Yakima Valley. Our used car dealership near Ellensburg, Sunnyside, & Union Gap has a variety of coupes, sedans, & hatchbacks for sale in Yakima. From roomy large-size sedans to the fuel-efficient compact vehicles, you can count on finding the perfect car at our dealership near Union Gap & Sunnyside. For those of you looking for the perfect commuter car, we have a huge selection of used hybrids, electric vehicles, & eco-friendly cars for sale. When it comes to commuting to Ellensburg, check out our certified pre-owned cars for an extremely reliable option. And for those of you that like to burn rubber, the we often carry a few little coupes along with our lineup of powerful muscle cars. Whatever you’re after, you can rely on our team to help you find the perfect car for you and your family. As soon as you arrive at our used car dealership serving Union Gap, WA, you’ll be greeted by experts from either Honda or GM, depending on your interests. We aim to provide friendly, personalized service for every one of our shoppers to ensure an exceptional dealership experience! At Harvest Auto in Yakima, our inventory is priced to sell. Whether you’re looking for a used Honda Civic or a pre-owned Chevy Cruze, you can count on getting the best deal when shopping at our one-price dealership. Unlike other dealerships in Washington, we price our vehicles per the market value by using tools like CarGurus & KBB. If you still have questions about our current inventory or would like to schedule a test drive with us, be sure to give us a call at (509) 575-1090!